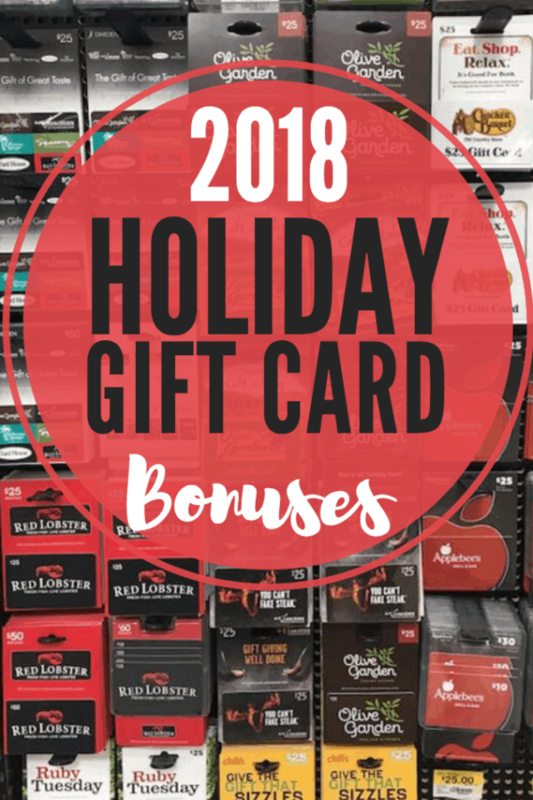 Holiday Restaurant Gift Card Promotions 2018! 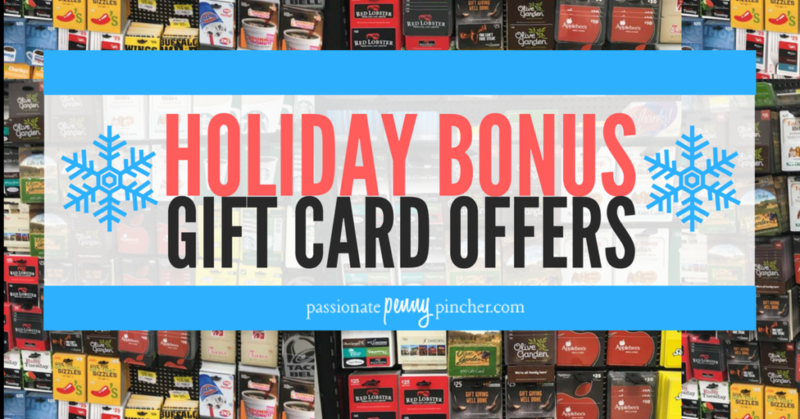 Here are all the Holiday restaurant gift card promotions for 2018 – thanks to MissiontoSave for pulling this list together! Applebee’s: receive a $10 bonus card when you buy $50 gift cards thru 1/6/19. Bonus card expires 3/3/19. BJ’s Restaurants: receive a $10 bonus card when you buy $50 gift cards or $25 bonus with $100 purchase. Also receive a 20% off VIP card delivered via email. Bonus card and VIP card valid 1/1/19 – 2/13/19. 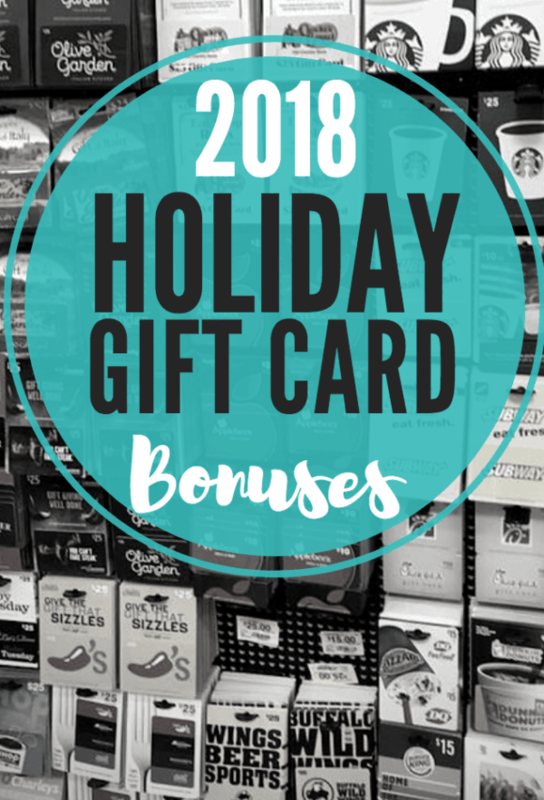 Bravo:receive $25 in bonus gift card with every $100 in gift cards. Bonus card redeemable 1/1-3/15/19. Carrabba’s: receive $10 bonus gift card when you buy $50 in gift cards. Bonus card redeemable 1/1-2/11/19. Menchie’s: receive a $5 bonus card for every $25 you buy in gift cards. Bonus cards are valid until 6/30/19! Red Lobster: receive $10 off bonus coupon when you buy $50 in gift cards online. Bonus coupon is valid 1/2/19 – 2/5/19. Subway: receive $10 bonus egift card when you buy $50 in gift cards. Barnes & Noble: Get a free $10 Reward, valid from 12/26/18 to 2/28/19, with any Gift Card purchase of $75+ or more.